A mid grey melange pashmina woven from fine merino wool and silk. 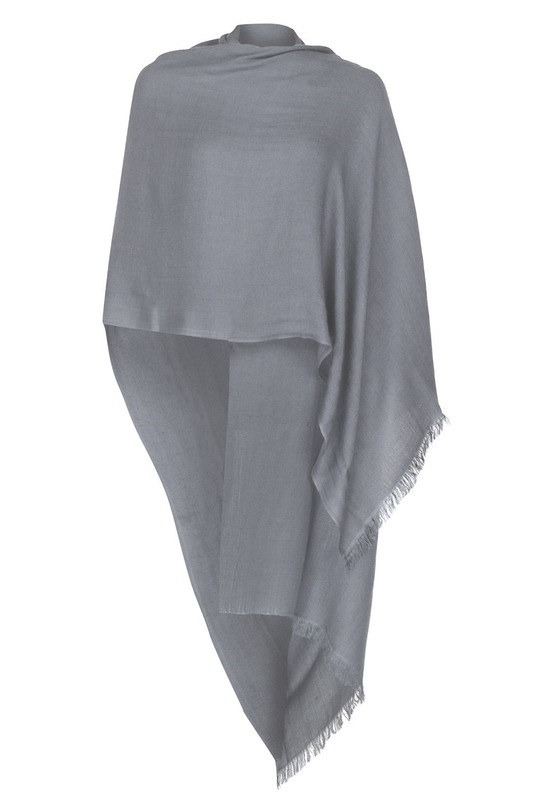 Soft and light yet warm this grey melange pashmina is perfect for those cooler summer days and evenings. Special Offer: A discount of 5% is available when you order 3 items or more from this category. Don’t want to wear a jacket? Worried about feeling chilly? And you want to look great too! Light and fine yet warm this Mid-Grey Melange pashmina shawl wrap scarf is the answer. Offering great value-for-money the all-natural yarns breathe whilst giving warmth. Ideal as a wedding pashmina shawl wrap scarf and for other formal occasions, this Mid-Grey Melange pashmina shawl wrap scarf can be worn as a wrap in the spring through autumn and as a scarf during the winter. The ideal accessory. Our popular Mid-Grey Melange pashmina shawl wrap scarf in 50% wool and 50% silk. Stay Warm, Look Cool. Service rating: Great very fast service. Service rating: Pashmina arrived promptly and well packaged. I received exactly what I ordered. Product: I was worried the colour might not be as it looked online. But it was exactly the right. Good size and quality. I've naughtily washed it on a 30 degree quick wash and it's perfect. Service rating: Excellent customer service - arrived very quickly and packaged well. Product: Lovely quality pashmina. I wore it to a wedding on Saturday and it did a great job of keeping me warm as the evening got cooler. Love it. Service rating: Really helpful & interested staff, who went out of their way to help me immediately prior to a son's wedding bless them. Product: Didn't actually need it on the wedding day, but it would have been ideal if I had. Thanks again. Such a pity your pashmina did not go with your outfit. You have returned it and we have refunded you. Many thanks for your review. Product: No further comment left.